After tasting success with the HTC One X, the Taiwanese manufacturer aims to bring another flagship into the market for 2013 to go head to head with the likes of the Sony Xperia Z/ZL and the upcoming Samsung Galaxy S4. Rumors of a new HTC smartphone codenamed M7 started going around a couple of months ago, with mentions of some pretty powerful specs. Just recently it was leaked that the M7 would simply be called “HTC One” and would boast of some more new features not previously speculated. So here’s what we know about the HTC One specs and features! The screen is the real stand out here, a pixel density of 469 ppi blows everything else out of the water. And with the trademark SuperLCD series, this new screen is sure to be a tough one to beat. Our concern however, is due to the fact that the Galaxy S4 will probably come with an SoC that runs on the new ARM Cortex A15 architecture and it’s sure to be quad core, which would beat the HTC One pretty handily. Sure it’s powerful enough for pretty much anyone, but there are some who consider benchmarks as supreme deciders in the smartphone war. It’s a given that the HTC One will come with top notch materials and from the pictures it looks pretty great too. Also, Android Jelly Bean 4.1.2 on the device will come with HTC’s Sense 5 UI, which has been redesigned to be more functional, good looking and less of a system hog. The most interesting rumor, however, is related to the camera. Apparently, HTC is working on imaging technology that involves “ultrapixels”. Instead of featuring just one sensor, there are supposedly three 4.3 MP sensor layers which take one highly detailed image that would be somewhere around 13 MP in size. But there are also rumors that this camera will in fact produce only a 4.3 MP image, but an amazingly detailed one. This could turn out to be incredibly great or incredibly bad if HTC doesn’t get it right. It can’t be denied though, that it’s an interesting technology. The HTC One is set to be revealed on February 19th and we’re excited to see what HTC has in store. 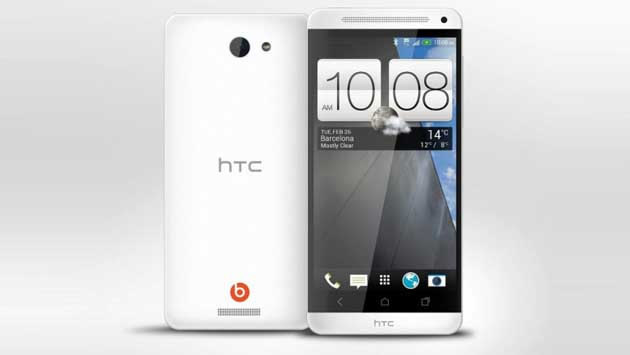 Do drop us a line with what you think of the HTC One specs and of course, the rumored features. 43 K?? Will this Phone Be Released Internationally ? If so when is the Expected releease? Like mentioned in the article, the reveal is on February 19th. Most sources seem to suggest it will hit US stores in March, no word on India launch. Just recently the HTC J Butterfly was launched in India for 45k, so how can this phone be any cheaper if it’s better?